Weather was wild in various parts of the United States again today. Two death occurred in the Northeast. One in Connecticut the other New York. Both were in a car when a tree﻿ fell on it. Three people were injured from falling branches and another kid was injured when a dugout roof collapsed. Damage was scattered from Texas to the Northeast. There was two tornadoes, one in NY the other IL. Ties for big hail at 2 3/4" between TX & NY. Lots of wind reports. Many trees blown down, power outages and roof damage. A few buildings were reported as destroyed. Roof loss occurred to homes, warehouses, a church and a Duncan Donuts. Published on May 15, 2018A funnel cloud rotates above Lake McDonough in Barkhamsted, Conn., as an intense thunderstorm moves toward Southern Massachusetts on May 15, 2018. 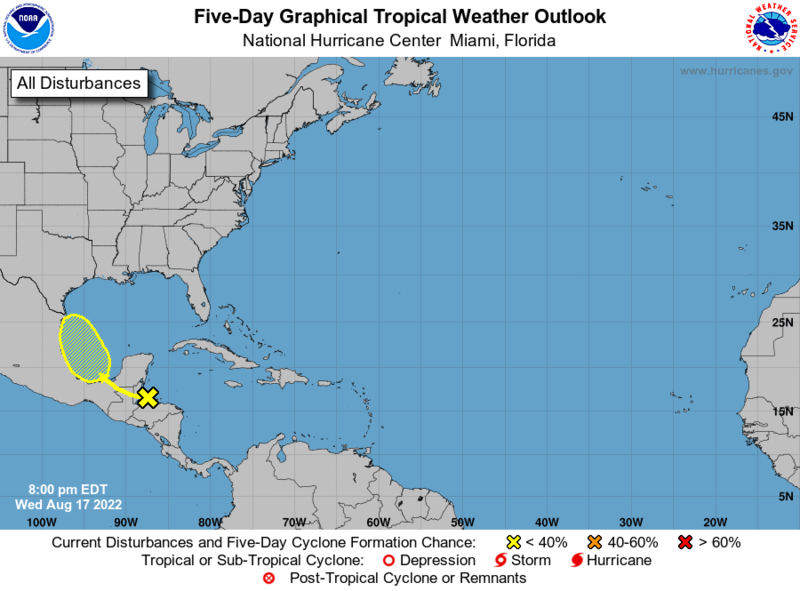 Weather patterns are changing as a mid-level low is taking shape in the Eastern Gulf of Mexico and an inverted trough approaches from the Atlantic. This should eventually feed moisture to the north to meet up with the precipitation still streaming through the Northeast on the jet stream. The Eastern half of the USA is looking at a lot of rain coming this week. For Florida the rain may continue on into a second week as some models are hinting at an early start to hurricane season. It's time to pick-up outside and clear drains. Some areas along the East Coast of Florida are expected to have over 7 inches of rain in the next week. It is also a great time to get in the gardens to pull weeds, fertilize and plant. With all the rain ahead a lot of growth is about to happen and once this all clears out in a few weeks it will be about into June and Meteorological Summer heat. Plant that summer garden now! Leaving some self updating graphics for the rain event. Refresh or revisit this page to see the latest. Issued a Haircon Advisory on the blob approaching Florida a few days ago. Models are coming into more and more agreement this may rain on Florida's weekend. GEOS-5 shows it being no worse than a possible Tropical Depression but may put a damper on Sunfest.. 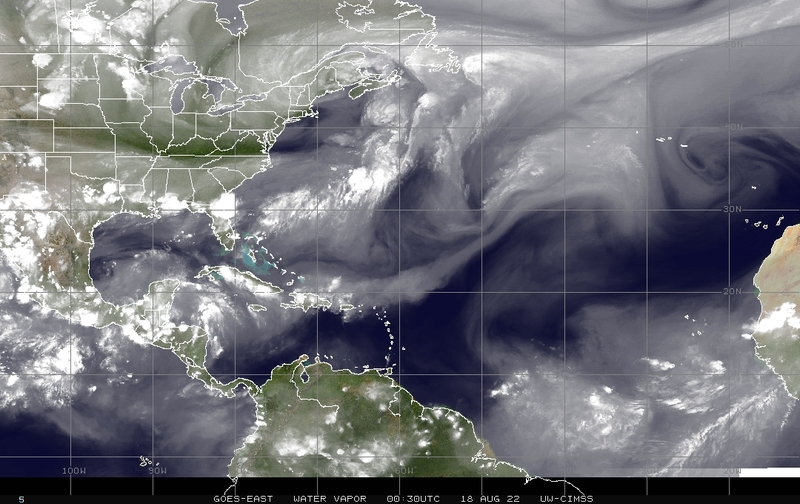 Overall the Atlantic Ocean Tropical Formation Probability has been running high this Spring. Vertical Instability has been highest along the East Coast. Gulf of Mexico has had the highest convection compared to expected. Divergence aloft has been above average in the Atlantic and sub-tropical Atlantic regions. The entire North Atlantic basin has been above average for Mean Sea Level Pressure. Shear has varied widely in the Atlantic region. It has been noticeably below average along the East Coast. Various charts for the different regions can be found here. High winds tore through from Michigan to Toronto and through the Northeast disrupting power, removing shingles and damaging trees. Over 300,000 people are without power. Atleast two deaths and two major injuries have occurred so far. Published on May 4, 2018A look at some of the destruction caused by the wind storm Friday afternoon in Toronto. Nitish Bissonauth speaks with a passenger who was on a flight that made a harrowing landing at Billy Bishop.